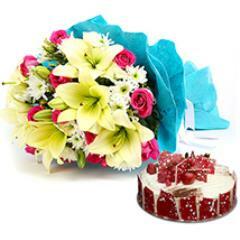 Explore Vast Collection of Fresh Flowers with Cake! The delightful combination of flowers with cake can create a wow moment. Check out fresh blooms along with flavoursome cakes online. Flowerdeliveryuae.ae is showcasing vast range of refreshing flowers with different flavours of cakes. Buy premium quality of cakes in various quantities (1/2 kg, 1kg, 2kgs and so on). Select gourmet cakes from various flavours like vanilla, strawberry, chocolate, black forest, pineapple and cheese cake. 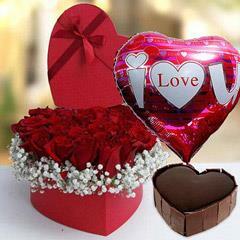 Explore various flower bouquets, combos and hampers. All these impressive products are deliverable to UAE. Check out fresh collection of roses, tulips, carnations, lilies, tulips, orchids and so on. 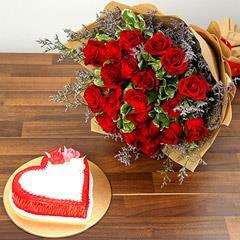 Get flower with cake delivery for special occasions like Birthday, Marriage, Anniversary, Christmas celebration, New Year greetings and Valentine’s Day. 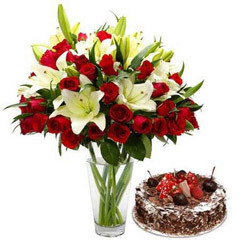 Impress someone special in UAE by sending online flowers with cakes. The heavenly pair of fresh blossoms with cakes is a wonderful surprise for your spouse, parents, relatives, siblings or best friend. 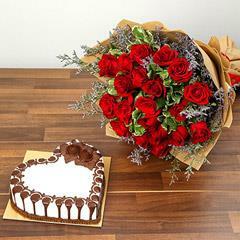 Flower with cake delivery would never ever fail to impress your loved ones.